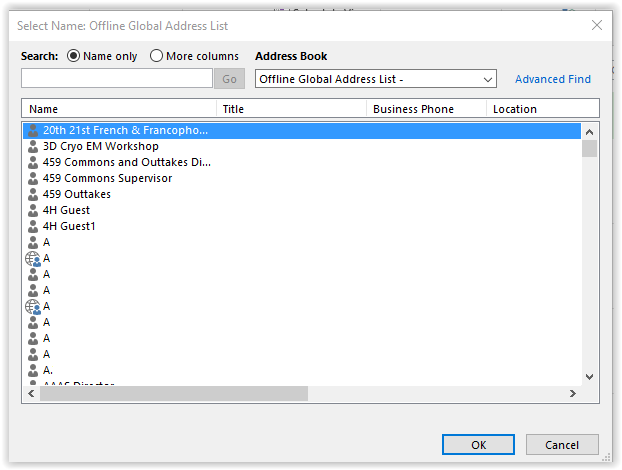 Outlook allows you to share calendars with other people in the LSUMail e-mail system. 2. Click Calendar in bottom left panel. 3. Select Open Shared Calendar located on the Home tab in the top toolbar. 4. Type all or part of the user's name or use his e-mail address. Click OK. NOTE: They must have an E-mail address that ends in @lsu.edu; otherwise, you will not be able to open your calendar. 5. Outlook will check permissions. If accepted, your calendar will be stored under your Calendars section.